Hey everyone. 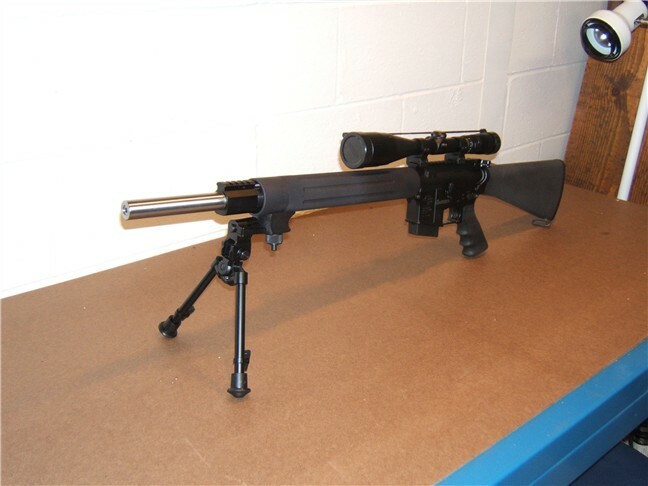 I have a bushmaster 20" flat top and am looking to put a scope on it. It'll mainly be used for shooting between 100-300 yards, in a variety of different conditions (e.g. low light, at the range, out in the brush, etc.) I'd like an illumniated reticle if at all possible, but if it can't be done then it can't be done. My budget is about 300-400. I think I covered all the things i needed to point out. Any suggestions? Thanks a lot folks! For $400 I'd go with the Monarch, instead of the Buckmaster. I had a great time with a BM, but the Monarch is really a top shelf scope for a few extra bucks..It won't be a lit reticle though. Thanks for the replies so far. I'm looking into the scopes you two mentioned. However, I just wanted to let you guys know the Bushmaster is the rifle, not the buckmaster scope. I'm not limiting myself to Nikon is all i'm sayin. If anyone has any other suggestions, i'd greatly appreciate it. Thanks a bundle guys! Way too much egg nog here!!! It probably depends on what you are going to hunt... For me I am hunting Coyotes along with everything else... I would go with a 3-9 or 4-12 for that. In the 3-400 dollar range I would look at a Bushnell Elite 4200, A Sightron SII, A Nikon Monarch UCC, or a Zeiss Conquest. Just my opinion. Oh yeah... Since I had trouble finding the right rings for mine... Just FYI - High scopes work fine on my flat top... You don't need the super high. I think the Zeiss is a fine choice. zeiss all the way . KY, nice rifle, is that the g27 grip??? It is the hogue rubber grip, not sure what model (whatever comes standard)... It feels great though!